A simple, long term solution to a more radiant skin. Firm, refine & plump the skin for a smooth, bright texture. Means you can go back to work after your treatment. Respected state of the art technology for effective results. Adjustable treatments to suit your specific concerns. Our safe laser protocols provide a pleasant procedure. Quickly dry up & repair current breakouts while killing the P Acne bacteria responsible for the eruption. Ideal for that annoying little breakout. Effective for quickly drying up & repairing large areas of breakout while killing the P Acne bacteria responsible for the eruption. Best for fair skin. The combination of Bio Hydro Microdermabrasion and non ablative Emerge Fractional Laser work synergistically to help heal & treat the current acne break out whilst the fractional laser will repair acne scarring. The quickest, non invasive way to correct, smooth and refine acne and scarring. The most important daily homecare for acne skin is an exfoliating cleanser, gentle anti pollution exfoliant, light weight oil control hydrator and Retinol Serum each night. Got an annoying pigmented lesion you want to reduce? IPL spot treatment is the answer. E Light or Elos is the more comfort laser pigmentation spot revision. No post treatment heat with the added benefit of RF skin rejuvenation. Safest treatment for darker skin types. Non ablative Emerge™ Fractional Laser uses advanced Infra red laser technology to resurface the skin & reduce surface pigmentation. Ideal for pigmented scarring, sun damage and age spots. Best on fair to medium tan skin types. The Intense Pulse Light frequency use will draw out surface pigmentation concerns. Skin is likely to be a little hot, dry & red for a day with the pigment becoming darker before exfoliating away. Ideal for fair skin types. E Light reduces post treatment heat and down time with added RF skin rejuvenation properties. Safest treatment for dark skin types. Beautiful clear skin is easy with non ablative Emerge Fractional Laser. Emerge™ Fractional Laser uses advanced Infra red laser technology to deliver laser energy as a cluster of tiny micro columns. The surrounding healthy skin tissue will take on the task of quickly replacing the damaged skin tissue with fresh healthy skin cells & speed up surface exfoliation. Laser works wonders on surface, sun related pigmentation. * If your pigmentation is from a genetic, dietary or hormonal source you will find it best to have metabolic pigment peels regularly with daily use of pigment blockers like Aspect Pigment Punch. E Light or ELos vascular spot treatments are a safer treatment option for darker skins tones. This treatment will blast the coagulated haemoglobin caught up in broken capillaries and clear red skin lesions leaving the skin with little to no post treatment down time. Treat spider angioma, thread veins, cuperose & cherry spots. IPL vascular treatments work by breaking up the coagulated haemoglobin caught up in broken capillaries and vascular lesions to disperse the debris into the lymphatic system for elimination. Results can be seen instantly with a little post treatment heat for couple of hours. E Light or ELos vascular spot treatments are a safer treatment option for darker skins tones. This treatment will blast the coagulated haemoglobin caught up in broken capillaries to reduce & clear red skin lesions. The skin is left feeling calm with little to no post treatment heat. What is IPL Photo Rejuvenation? 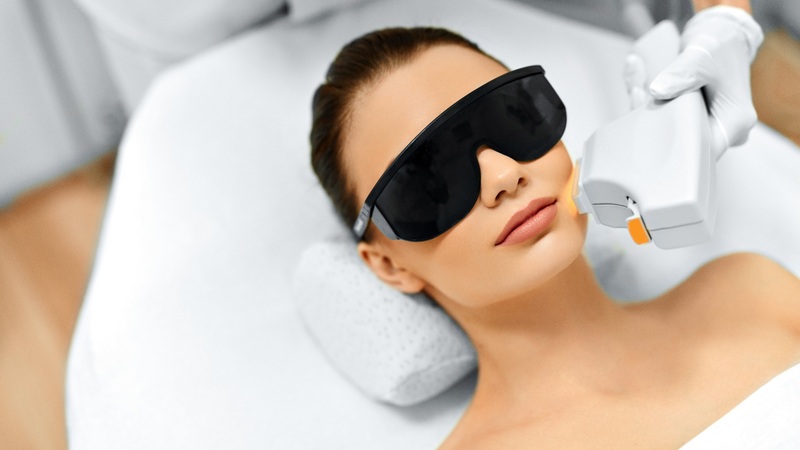 IPL Skin Correction is the use of various Intense Pulse Light filters or light frequencies to effect a positive change in the appearance of the skin. Our highly trained and certified laser technicians will adjust the settings to address your specific concerns. Acne and scarring, rosacea, cherry angioma and red broken capillaries or pigmented sun damage and age spots. Do I need to prepare my skin for IPL Skin Correction Treatment? No special preparation homecare is required to have IPL Skin Correction. You will need a consultation and patch testing prior to treatment and it is important to stop using Topical Retinol and Antibiotics 5 days prior to treatment. Tanned skin can not be treated with IPL due the higher risk of burning associated with artificial pigmentation, so avoid tanning lotions and sun prolonged sun exposure 2 weeks prior to treatment. What happens in an IPL Skin Correction Treatment? Your skin will be double cleansed to ensure there are no lotions, makeup or sunscreen left on the skin. Protective eye goggles or patches are worn and a cool gel is applied to the skin. Our laser technician will make the necessary setting adjustments to target your specific concerns and we will finish with moisturiser and sunscreen application. Will IPL Skin Correction hurt? Although we make all the necessary measures to make your treatment a comfortable experience you will feel a slight, hot flicking sensation on the skin much like a rubber band. The light is quite bright around the eye area so you may feel the need to flinch, but this is a normal responce. Your skin may feel a little tight and hot post treatment but this will subside within a few hours. Could I have this procedure on a lunch break & go back to work? Yes of course. We can apply a medical grade treatment foundation afterwards. This will allow you to go straight back to work with little to no indication of you having a treatment.